With Rear Adm. Ronny Jackson withdrawing his name from consideration to lead the Veterans Affairs Department, even the Trump administration is admitting things are unraveling at the federal government’s second largest agency. In a statement released Wednesday evening, before Jackson announced his withdrawal, VA Press Secretary Curt Cashour said the “main goal” of the department under acting Secretary Robert Wilkie was to “restore regular order” at VA. The department’s rank and file agreed VA is suffering from uncertainty in leadership, as did an array of veterans service organizations. Denise Rohan, the American Legion’s national commander, which represents 2 million veterans, said VA could right its ship if it had the proper leadership in place. P.J. Rieckhoff, head of Iraq and Afghanistan Veterans of America, said VA has entered an “unprecedented time of chaos,” and the issue was trickling down to VA employees. “VA’s reputation is damaged, staff is demoralized, momentum is stalled and the future is shockingly unclear,” Rieckhoff said. Marilyn Park, a legislative representative at American Federation of Government Employees’ VA council, which represents 230,000 VA workers, said the leadership tumult has exacerbated problems caused by a high number of vacancies. The department is facing important deadlines in the coming weeks, such as the popular Veterans Choice Program likely running out of funding in early June. The program enables veterans who face delays in receiving health care at a VA facility or live far from one to access private sector care on the department’s dime. 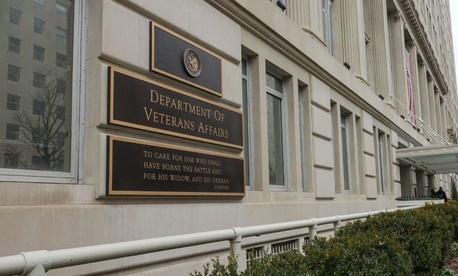 VA and the White House had hoped to use the deadline as a marker for Congress to pass more comprehensive reforms to the programs VA runs to give veterans access to private care, but those plans could be scuttled without leadership in place at the department. “You’ve got a deal that’s been brokered between the House and the Senate already, and the White House,” said Darin Selnick, who served as the White House’s top VA policy person until earlier this month. Democrats balked at the 11th hour to putting that framework into the recently signed omnibus spending deal, and will likely remain skittish about enacting the legislation until a permanent leader is installed at VA and assauges any lingering concerns about the changes being a first step toward privatizing veterans health care. Cashour said VA would like to see “community care reform legislation” passed by Memorial Day. “Why not give it one last shot of money, fix it, and be done with it?” Selnick said. To Park, however, the authority provided to VA management in that bill should not be awarded to a yet-to-be-named secretary. The agreement, which has been brokered largely by Sens. Johnny Isakson, R-Ga., and Jon Tester, D-Mont., the leaders on the Senate Veterans' Affairs Committee, would provide the VA secretary with more latitude in determining which veterans are eligible for private care at the government’s expense. “It adds to the uncertainty of adding these very broad tools of authority when we don’t even know who will be carrying them out,” Park said. “It’s very troubling.” She said AFGE is encouraging Congress to “take a pause” and wait for VA to have “a more stable leadership situation” before proceeding with sweeping reforms. According to Cashour, things at VA are already improving since Shulkin’s ouster. Under acting Secretary Wilkie, who is temporarily leading VA after being confirmed as the Defense Department’s undersecretary for personnel and readiness, Cashour said VA officials are “on the same page” and “speaking with one voice” on behalf of veterans, employees, Congress and outside groups. That process has been aided by the removal of dissident employees, he explained, and will enable the department to better implement Trump’s agenda. “In a number of cases, employees who were wedded to the status quo and not on board with this administration’s policies or pace of change have now departed VA,” Cashour said. Many of the veterans groups do not hold the same view. The Legion’s Rohan also said things had been trending in a positive direction. IAVA’s Rieckhoff said VA needs a secretary who can usher the department out of its current situation. “Our veterans are simply looking for a competent, proven and dynamic leader with integrity that can lead our nation forward out of this storm of darkness and into a brighter future,” Rieckhoff said.